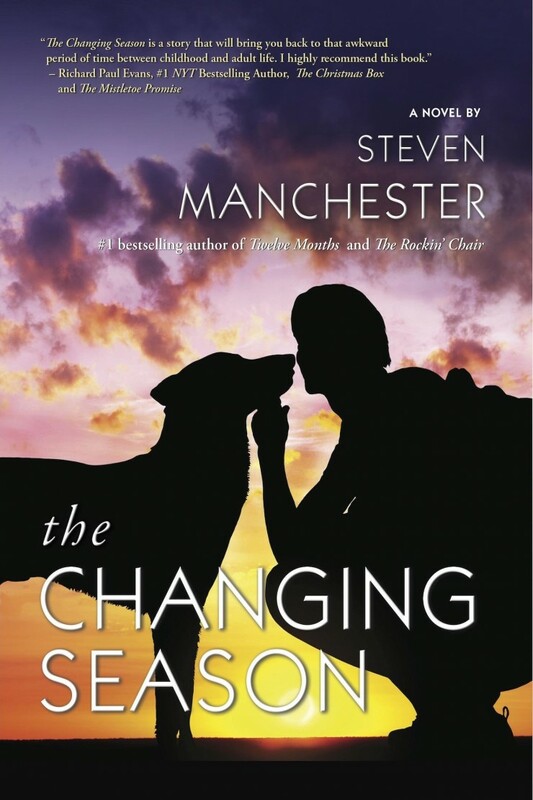 The Changing Season by Steven Manchester - Frugal Mom Eh! This was supposed to be a simple summer for Billy: one more lazy expanse of time before college began. He’d fill the hours playing with Jimmy – his canine best buddy – going camping and doing all the things he promised Jimmy they’d do before Billy left. But that was before the accident that shook the entire town. It was before the summer job that turned into something so much more than a way to get a paycheck. And it was before Vicki. This summer was destined to be many things to Billy, things he didn’t truly understand until now. But it was definitely not going to be simple. An enormously touching, richly textured, deeply moving novel of new adulthood, THE CHANGING SEASON is an experience to savor. I’ve read a few Steven Manchester books now and wasn’t sure if I would enjoy this title based on the summary. I mean the synopsis I was sent read “A beautifully crafted and poignant coming of age story where loyalties will be divided, friendships will be tested, teenage love will be discovered, and through it all, the enduring bond between a boy and his beloved dog will always be remembered.” Admittedly I am a cat person and the boy and his dog type stories don’t typically appeal to me. I’m so glad that I trusted in Steven’s writing capability because I truly enjoyed this read – and found myself enjoying the relationship between the boy and his dog. Speaking of which, Steven did a wonderful job at characterising Jimmy, the dog. In any case, I was expecting a very different kind of story and was pleasantly surprised to find a whole other kind of story. The kind of story that starts off full of teenage angst and friendship and unexpectedly turns into a fast paced story that quickly involves the reader in a bittersweet lesson about love, loyalty, and morality. The biggest take away though is that some choices just can’t be undone. Steven Manchester has a real gift for storytelling, and this was a story worth telling, and well-worth reading. Disclosure: I received a copy of the book from the author in order to facilitate this review. I’ve not heard of Steven Manchester before but it sounds like his books are certainly worth trying out. I’m an avid reader and there’s only one book I didn’t like at all. Ok, I’m curious. What book was it? Isle of Dogs – Patricia Cornwell, I’ve read all her other books and they are all good but this one I didn’t like.